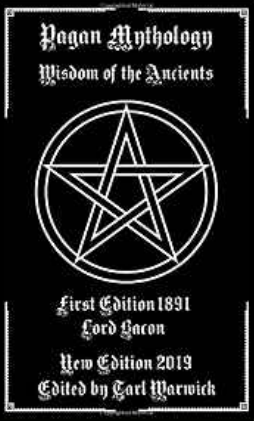 Poems of Paganism: Now Available! It isn’t strictly pagan in the sense of epic poems about Valhalla, etc, much of it refers to cupid-style love and sometimes bereavement. Author styxhexenhammer666Posted on March 17, 2019 March 17, 2019 Categories UncategorizedTags books, emotion, literature, love, pagan, pagan poems, paganism, poems, poetry, romanceLeave a comment on Poems of Paganism: Now Available! 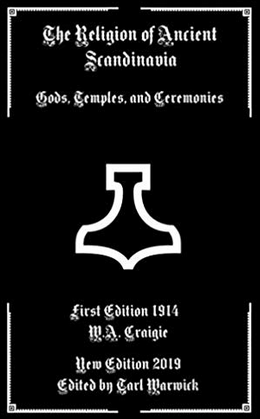 The Religion of Ancient Scandinavia: Now Available! This little booklet is a rather obscure and interesting guide to a few basic concepts within Norse paganism from the semi-academic perspective. 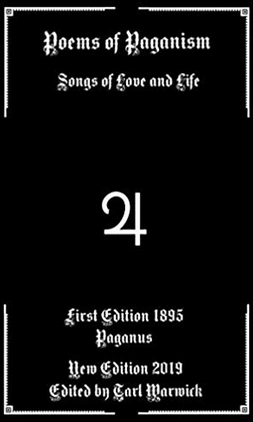 With a section on Thor and Odin and another on the rest of the major figures of Northern paganism, it includes a few strange asides about less well known subjects such as the “doom ring” (for human sacrifice) and the “Insult Post” which was a sort of magical totem designed to confuse or dismay land spirits in hopes that they would frown upon and actively hinder the plans and lives of those the post was dedicated to. It speaks a bit about the interplay between the Germanic and the Scandinavian traditions within a linguistic framework as well. Author styxhexenhammer666Posted on March 1, 2019 March 1, 2019 Categories UncategorizedTags books, denmark, iceland, literature, norse, odin, pagan, paganism, scandinavia, sweden, thorLeave a comment on The Religion of Ancient Scandinavia: Now Available! 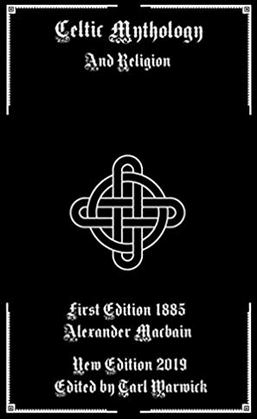 This particular book is a nice collection of linguistic lore and superstition related to the development of the Celtic people. Some of the content here is technically eugenic, proposing three separate ethnic groups with regards to the Celtic people. It speaks of the divisions of Celtic culture (the bards, vates, and druids) and many other topics, and gives not just a broad introductory overview of the subject but delves into relatively advanced linguistic anthropology of a sort which most works ignore. Author styxhexenhammer666Posted on February 7, 2019 February 7, 2019 Categories UncategorizedTags books, britain, british isles, celtic, celts, druids, european history europe, folklore, literature, mythology, paganismLeave a comment on Celtic Mythology: Now Available! 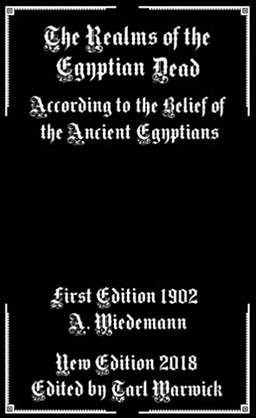 This book is one of those happy titles that I enjoyed reading for its content in the informational and entertaining sense as much as for editing; it contains two pieces of content- pagan lore (Greek and Roman) first, and then a late 19th century analysis of the same in the sense of its connection to social and political topics- for example ideas such as tyranny, liberation, the way in which a royal court operates, and so forth. There are many examples given and the lore goes beyond the topical and is quite descriptive. The sections on Bacchus and Prometheus are particularly interesting. Author styxhexenhammer666Posted on January 15, 2019 January 15, 2019 Categories UncategorizedTags bacchus, books, greek paganism, greek religion, literature, paganism, prometheus, roman religion, typhonLeave a comment on Pagan Mythology: Now Available! The number of references within mythology are impressive- especially Greek mythology and some of the Christian iconography of yesteryear- including of course perhaps the most famous with Saint Patrick and the four leafed clover. As an interesting aside there’s one little patch of white clover here on my property that spawns four leafed clutches at about a hundred times the normal rate (must be a mutant) and once I found one with seven in there. 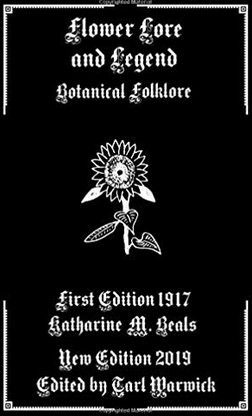 Altogether, this is a fine work, and right down my alley as a botanical enthusiast and lover of spiritual folklore. Author styxhexenhammer666Posted on January 14, 2019 January 14, 2019 Categories UncategorizedTags books, botany, flowers, folklore, herbal, literature, mythology, paganism, poetry, religion, shakespeare, st patrickLeave a comment on Flower Lore: Now Available!